City Councilors recently approved an active transportation plan for Estacada. Though the plan did not pass during the group's meeting on Sept. 10, councilors gave the plan a thumbs up during a meeting on Sept. 24 after additional details to one of the proposed routes were added. Active transportation refers to instances of people transporting themselves by walking or biking. There were previously two chapters dedicated to these activities in Estacada's transportation system plan, and last year the city received a $134,000 grant from the Oregon Department of Transportation to create a full-length active transportation plan. City staff collaborate with DKS Associates and local public and technical advisory committees to create the plan, which strives to develop an "active transportation network to serve a broad variety of users, from the reluctant to the fearless, to enable safe bicycling and walking in the city to major destinations." In order to achieve this, several routes for active transportation and corresponding improvements are outlined. Along with increasing pedestrian access by improving sidewalks, the plan lays out many additional improvements for walking and biking. 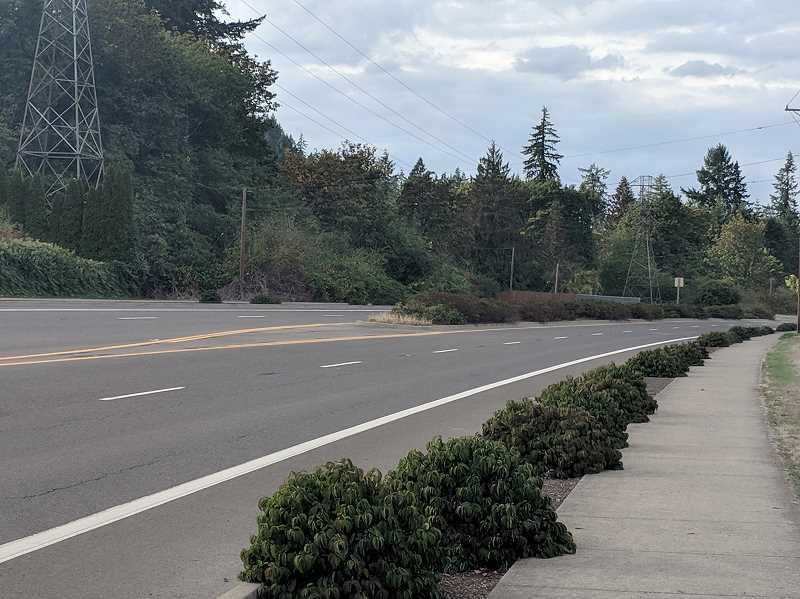 Several of the routes outlined in the plan will connect pedestrians and cyclists from residential sections of Estacada to local schools and the downtown area. This is achieved through roadways with space for both cyclists and cars and several types of bike lanes. Another route outlined in the plan will increase pedestrian and bicycle access between Estacada and Milo McIver State Park. To achieve this, a new bike and pedestrian bridge over the Clackamas River and improvements to the Lakeshore Trail are proposed. The exact placement of the bridge will be determined through collaboration with Oregon State Parks in the future. Proposed for the stretch of Highway 224 that runs through town are bike lanes with buffers, sidewalk infills and a series of enhanced crossings to promote pedestrian safety. City staff will work with the Oregon Department of Transportation for all potential upgrades on Highway 224. The plan's North City Route focuses on providing a walkable and bikeable loop route for exercise and recreation. During the first consideration of the plan, several city councilors were skeptical about ideas proposed for Sixth Avenue, but after a revision the plan now includes additional details about possible treatments for the street. Proposed for the route are bike lanes for Southeast River Mill Road, Southeast Eagle Creek Road and Northwest Sixth Avenue, a shared roadway on North Broadway Street and a bicycle boulevard along Northeast Second Avenue. Additionally, crossing enhancements are suggested for Sixth Avenue to improve safety for students and families walking to school. "When it becomes time to do that project, each section of the road will be looked at, and there will be a differences for how they're handled," said Melanie Wagner, assistant to the city manager and project manager for the active transportation plan. Finally, improvements to Northwest Wade Street and Northeast Main Street will connect the northern and southern sections of Estacada. Proposed improvements include a bicycle boulevard and several types of bike lanes. Projects proposed in the active transportation plan will be completed over the next several decades, depending on when funding is available. The city received a $134,000 grant from the Oregon Department of Transportation to create the plan. To view the full active transportation plan, visit www.cityofestacada.org.